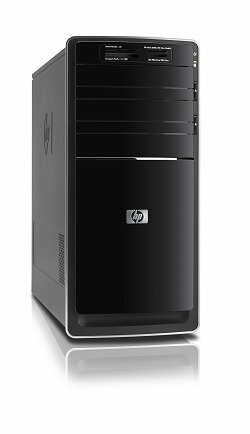 I didn't want to go the build-it-yourself PC route, and after a lot of searching (trying to find one with a half decent video card) I finally managed to pick up the HP Pavilion p6218F Desktop PC up on Boxing Day. This is my first HP product (also my first PC with an AMD CPU) and so far I am quite happy with it. Decent CPU (I don't need much CPU power), fairly solid video card (really hard to find this from the major PC manufacturers on these pre-built systems), good amount of RAM, and Windows 7. It's pretty much exactly what I was looking for. It runs quietly, also has a wireless LAN, and a card reader which is all great to have. Now I just have to see if HP (unlike other brands I've experienced lately...Acer and Lenovo) can deliver a reliable product that will last me a few years. The PC is still running strong after six years of on and off use. It went into "temporary retirement" as I used my Asus laptop primarily for a year or so, but have brought it back into daily use and it's still a solid performer after six years. That's pretty good. Just for fun, I looked at desktop PCs on the market today, and while today's PCs are definitely better at the same price point...It's proven to be reliable and still fast enough for web surfing and home theatre usage. HP desktops are definitely on my watch list, if I am in the market for one in the future. I'm thinking of upgrading my memory to about 12 GB so I can do more video encoding. But I fine tune it with AVG's PC Tune-up program and blow the dust out of it quarterly per year. Still humming along without issue and I use it for power browsing and multimedia projects, watching videos, listening to music etc. Don't use it for gaming as the only flaw I've encountered is the video card will shut off the PC if over heated. Yes, the HP Pavilion p6218F still pretty solid for me too. The only weird thing is that sometimes it takes a really loooong time to boot up. Not sure why that happens, as I run minimal programs on start up. Besides that it's still great for browsing, music and watching videos. The only gaming I can do now is Hearthstone. For anyone still interested, I uninstalled a bunch of apps, did a number of Windows tweaks to enhance performance, and cleaned out a lot of dust from inside the case (especially the CPU fan) and it's really seemed to help overall performance a lot. Removing all that dust really reduced the fan noise A LOT, which is a good reminder to give it a good dusting every once in a while, or in my case after 9 nine years, lol. Considering the age of the machine, it almost made it feel snappy once again.